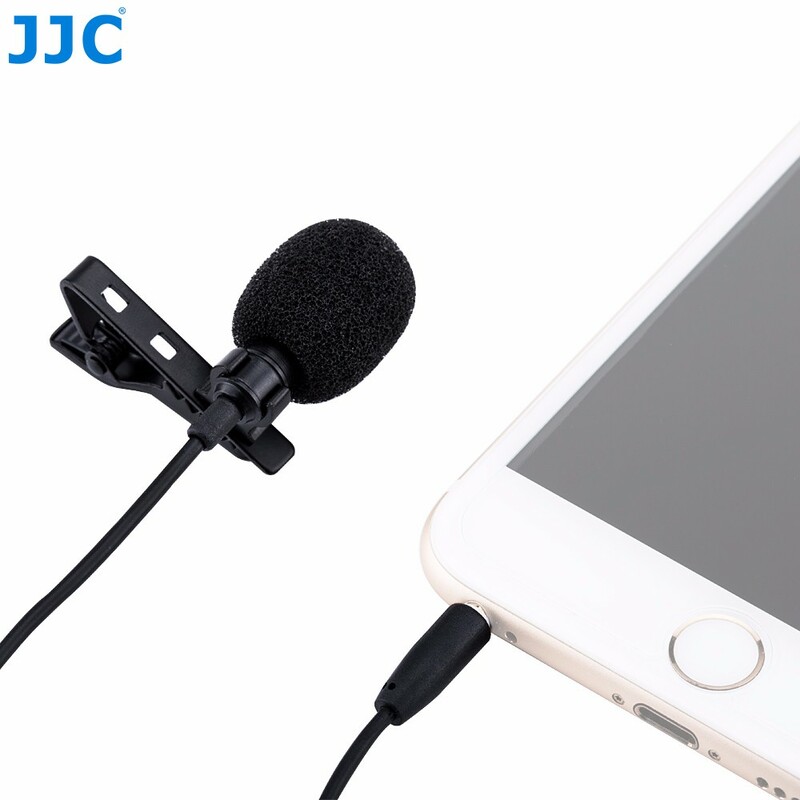 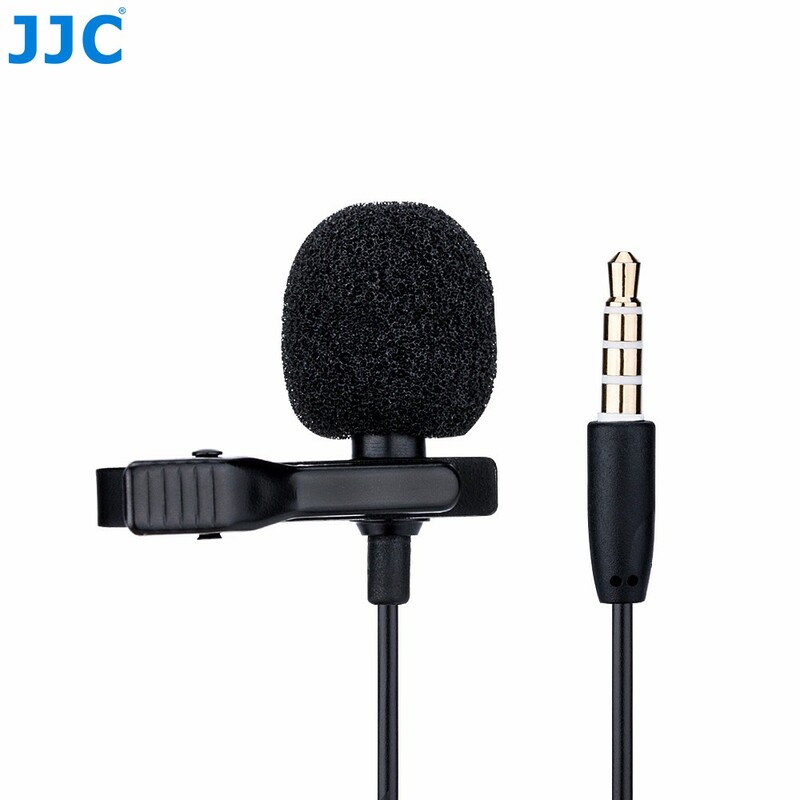 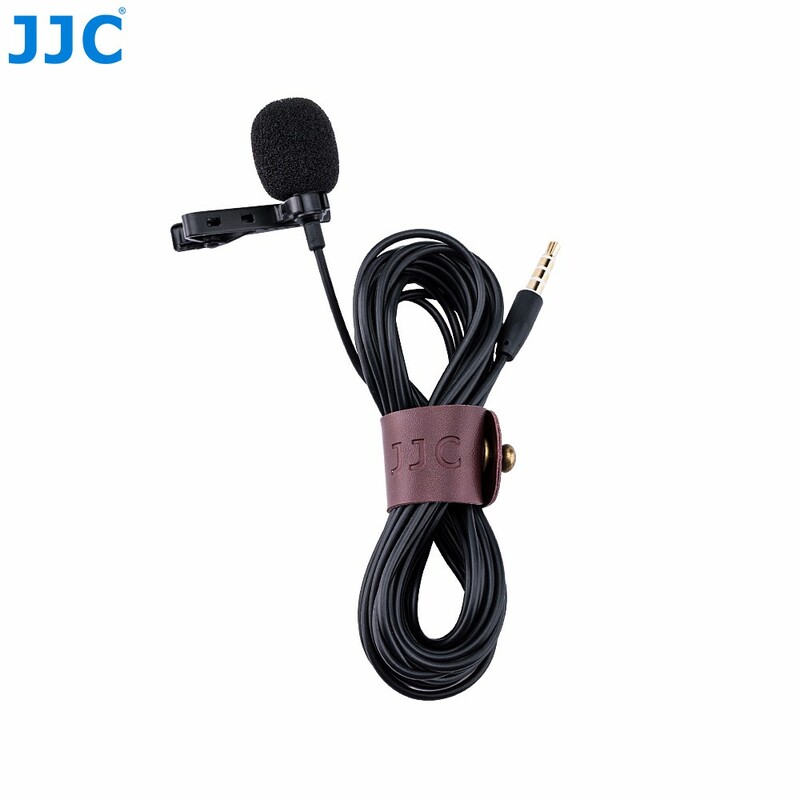 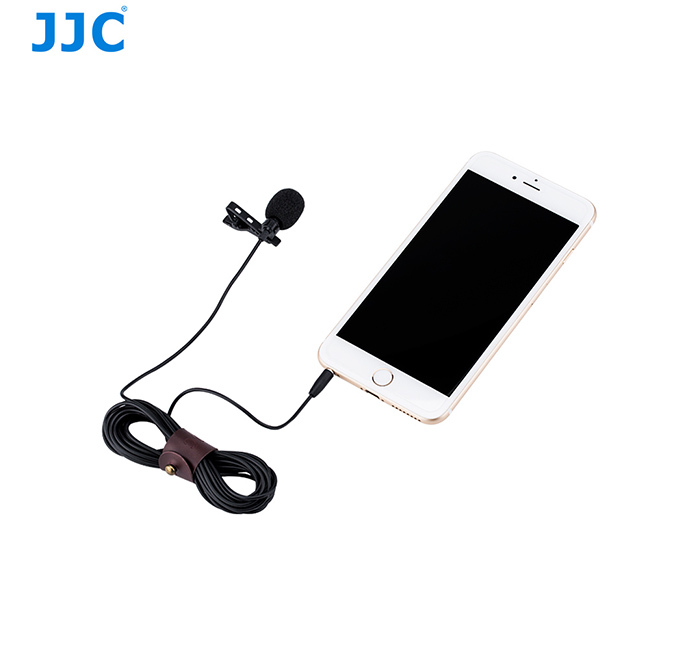 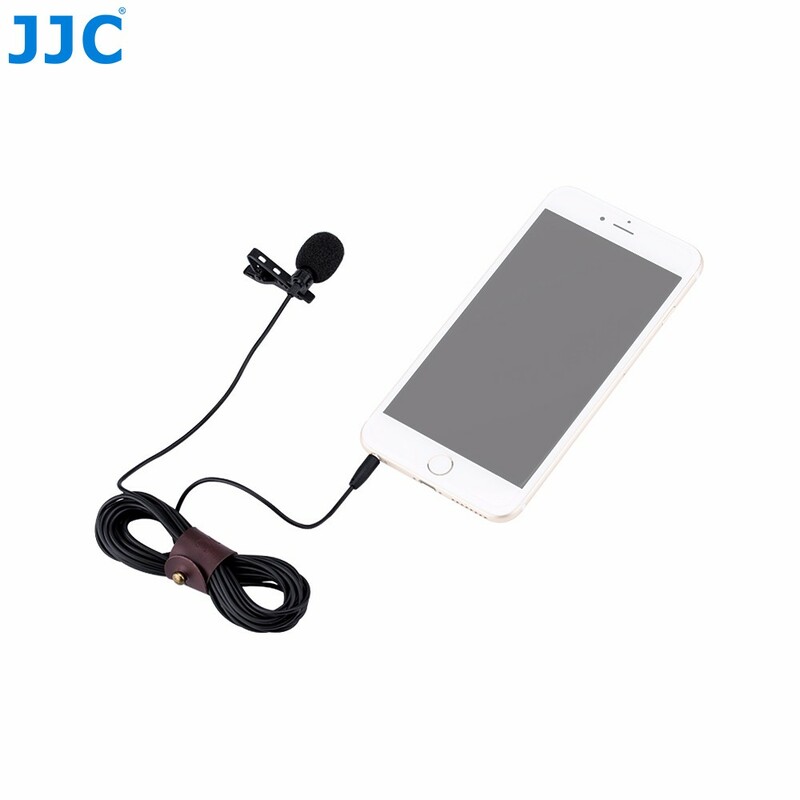 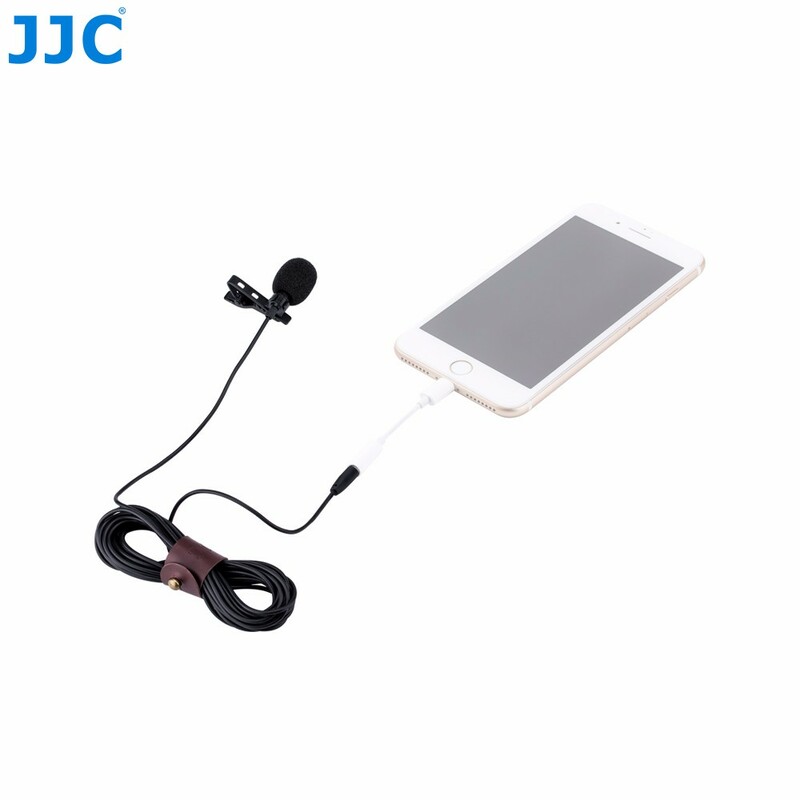 JJC SGM-28 is a Lavalier Microphone for smart phones or tablets that is designed to deliver high-quality audio recording. 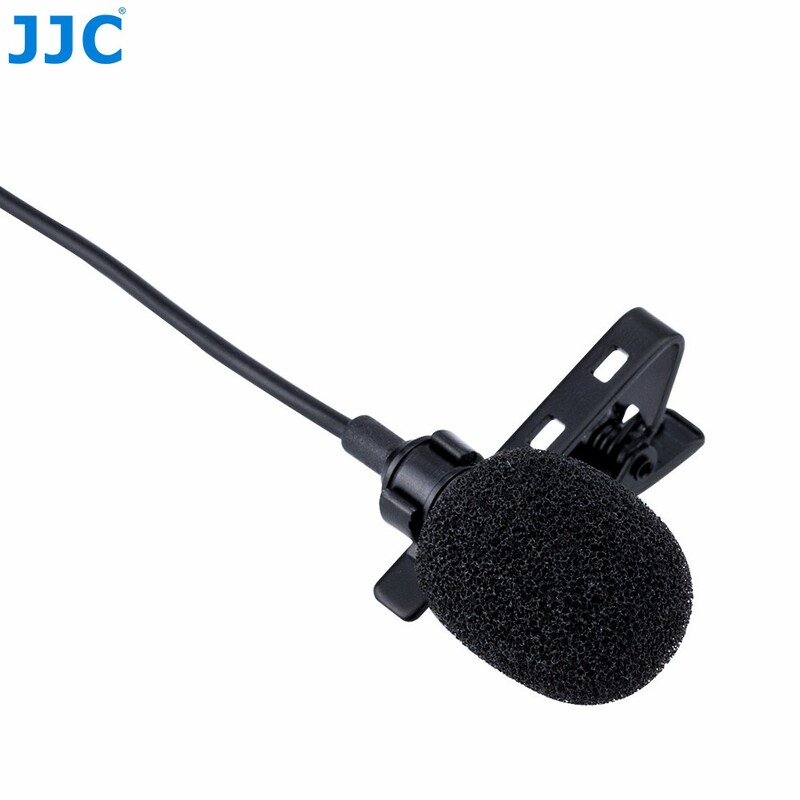 The SGM-28 is ideal for effective, hands-free recording of speeches, interviews, dictations or any venue where an unobtrusive and lightweight microphone is needed. 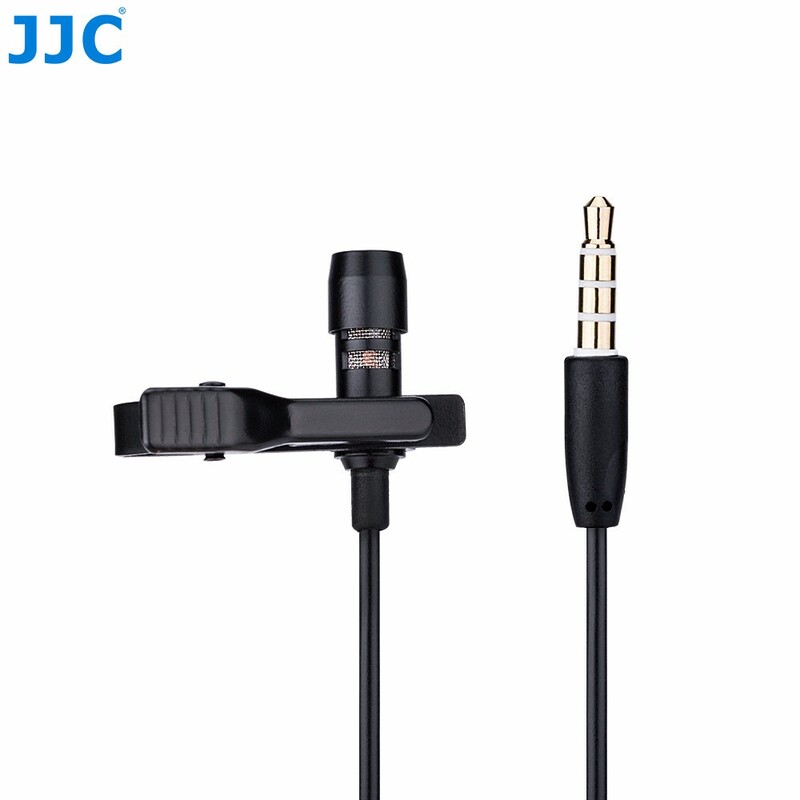 JJC SGM-28 is easy to use with no batteries or power supply needed and can work with any audio app that records from the headset input. 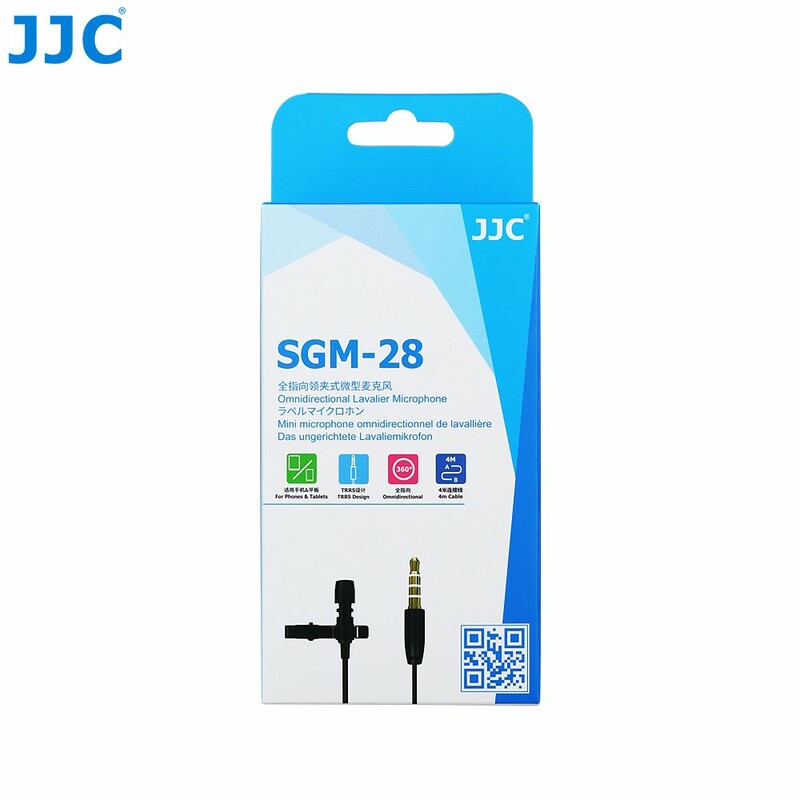 JJC SGM-28 allows 360 degree pickup of sound and provides flat and smooth frequency response and wide dynamic range. 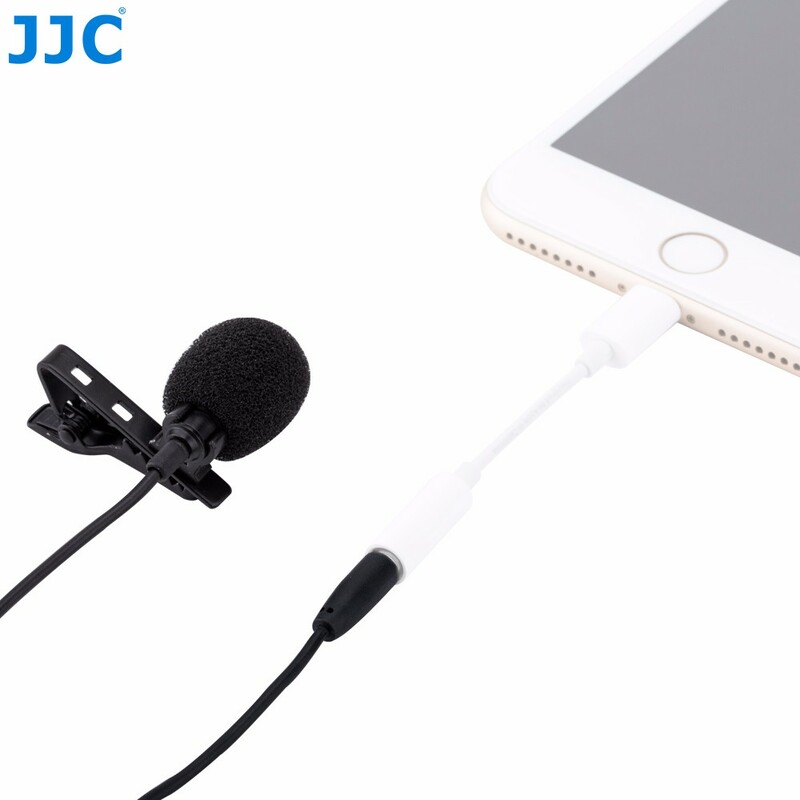 The detachable tie-clip allows easy mounting, offering flexibility and comfort to user. 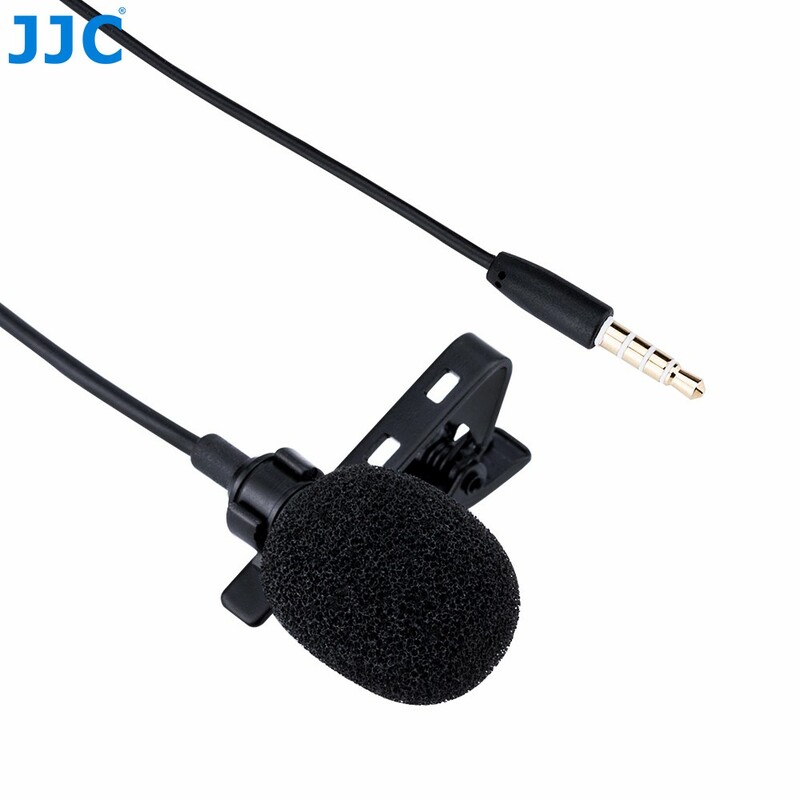 Package also provides a foam windscreen to soften vocal plosives and wind noise. 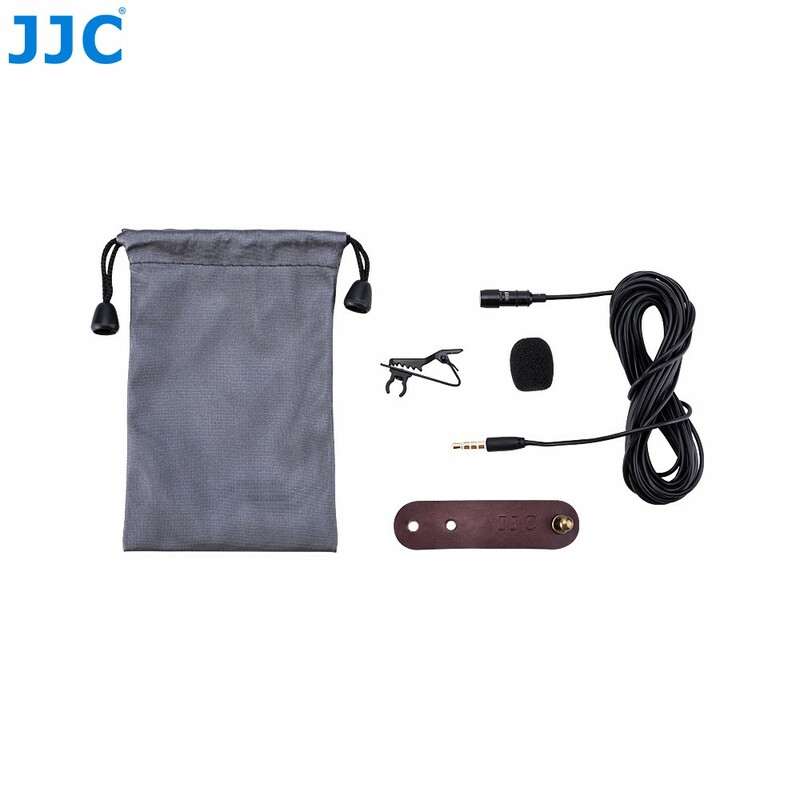 The package includes a buckle fastener and a small pouch for storage.